Chick Days Tent Cards. 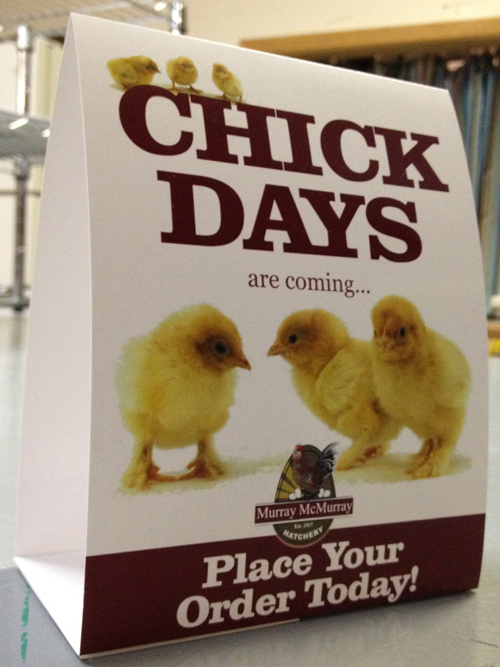 The counter space in your store is one of the greatest opportunities to promote your upcoming chick days. These visual promotional tools remind your employees to promote the chick days and sparks your customers' interests. Showing them these cute chicks your are going to have in your store. Capitalize on that captivated time you have with your customer by using the aide of these promotional tent cards. Measures approximately 5" x 7"